You never know when you’ll need a boys suit for your son. Whether it be a funeral, graduation or other special event it is nice to always have one on hand. Black N Bianco offer boys suits for toddlers through size 20 so you’ll be sure to find the perfect one for any event. Be sure you read more about them below and how you can enter to win your own boys suit! 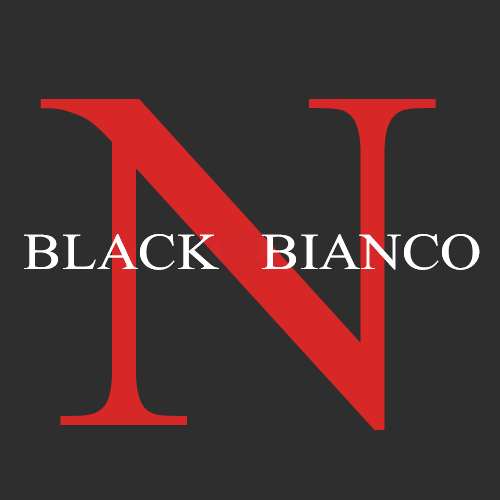 We here at BLACK N BIANCO provide children’s formal clothing. Like boys suits, boys tuxedo and flower girl dresses. Our prices are competitive so every child can looking adorably stunning on their special occasion. Even with our competitive price our clothing are made with the highest quality available with comfort and style. Come take a peek at our kids formal clothing! 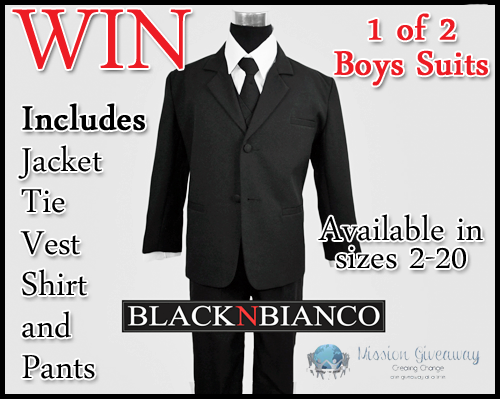 We are giving away 2 Boys Suits in black dress wear set. We have a wide arrange of sizes to choose from. Size Small to 20. Our boys suit come with everything you see in the picture. A suit jacket, neck tie, vest, shirt and pants. The Giveaway will open up on 7/30 12:01 am EST and Close on 8/2 at 11:59 pm EST.